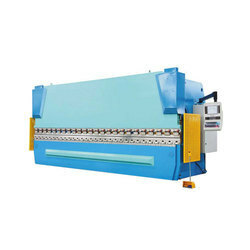 Prominent & Leading Wholesale Supplier from Chennai, we offer servo press machine. Banking on our quality oriented professionals; we are offering Servo Press Machine to our clients. It is manufactured using different tools and other parts. It is used in broad field of applications for processes such as cutting, punching and forming small to medium-sized parts. It has electro mechanical parts. This gives hassle free and trouble free performance for long time period. Use by 100% load of nominal capability is possible. A sound of operating the press machine itself is very quiet and vibration is nearly zero. Processing noise and vibration are greatly reduced. A free motion setup increases efficiency of work. Downsizing and energy saving are realized by a speed reducer with mass capacity. A layout is possible considering multiple press machines in a module line as one set of a press.